An impeccably restored Palladian Georgian home in Co Westmeath has dropped its asking price by €1.25m just two months after going on the market. 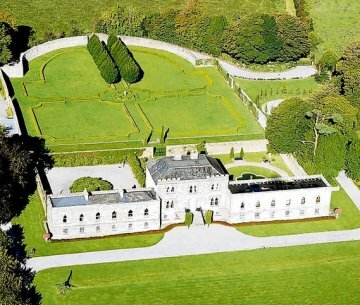 Jamestown Court went on the market in September for €2.85m with Sherry FitzGerald but according to The Irish Times has now dropped its asking price to €1.6m. The seven-bed house, which dates from 1740, is surrounded by formal pleasure grounds and is set on 62 acres of parkland. There’s a guest lodge and gate lodge thrown in for good measure too. Meanwhile, Breffni House in Osberstown, Naas, Co Kildare, sold at auction yesterday through Knight Frank for €975,000 – €25,000 above its AMV.